The following is taken from the newly released book, 'The New Grid: Co-Creating the Next Human Race'. The book is an overview of the many changes we are going through as we journey into the fifth dimension and beyond. Although the nature of our energy is to change, flow and evolve, as third-dimensional humans we were largely creatures of habit - between 40 and 95 percent of our thoughts and actions were habit. As a result, as new fifth-dimensional energies - light codes, matrices and even DNA light activations - start to flow into our electromagnetic field, they are sometimes bumping up against remnants of our third dimensional energies - both personal and societal. In other words, they are being temporarily blocked, or a more accurate term might be they are causing an energy logjam. As an intuitive who gives energy readings, I have seen this in clients, especially since the August 2017 eclipse. People would have thick cores of white and golden light encased or separated from their other energy layers by a metal or brick wall. These walls were the result of new energies being downloaded, but not yet able to mix or flow into the older energies. As a result, fear, anxiety and constriction energies were manifesting. When I described what I saw to these people, and we related it back to all the energy changes going on, they would start to relax and breathe - often deep, cleansing sighs. As they continued to breathe, you could literally see their walls start to melt or fade away. The old and new energies were relaxing, once again starting to move. "Go into the constantly changing energies. Merge with them. Let these energies fragment and rearrange your current energies. Keep the parts you like - let go of the parts you don't like, the parts that no longer serve a purpose. Don't fear the energies because you feel like you might lose some part of yourself. You can't. Even pieces of energy that have become scattered here and there from hundreds of reincarnations, relationships and experiences, can never be lost unless you want to release them. They have your DNA imprint and they are attached by an energy thread to you. So, keep the ones you want, dissolve those that no longer feed your new self. Let your DNA open, uncoil, and absorb the new light entering the Earth. It will spark the activation of past knowledge and abilities - all that you knew somewhere deep inside of you that you were capable of, but may have become dormant because of the carbon-based veil. It's time to shine again. And if you want to take it further, while it's nice to experience grounding, also experience ungrounding. Feel that "spacey" expansion. You've been existing in so much fear and constriction for so long, let yourself go. Feel your vastness. If you need it, just ask the Earth for golden tethers that will bring you "safely" back to the Earth. Your guides are helping you. Your Higher Self is helping you. Go with it and let it be. The energies are changing you so deeply you cannot fully understand it. So, don't. Because, if you keep on trying to fit everything into a neat little box, safely kept in a corner of your mind, that's exactly where it will stay and be. Now is the time to expand and experience new energies. Let them dance around you, through you, and with you! It's time to play like children - the so-called healing of your inner child. It's time to rediscover that joy, bliss and Divine wonder you had as a child when everything was fresh, new and exciting - because, it is! Maya is an intuitive, energy reader and author. 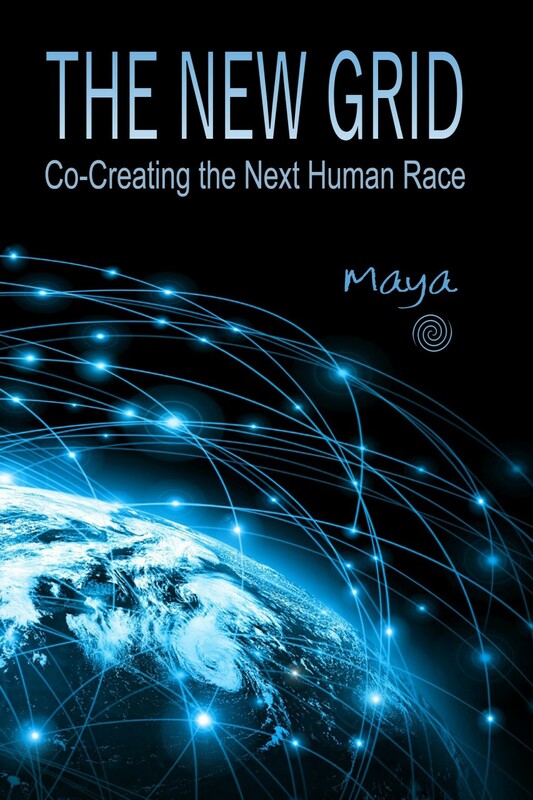 Her recently released book, 'The New Grid: Co-Creating the Next Human Race', is available on Amazon and Kindle; a few more sources will be added in 2018. To contact Maya, or if you would like permission to post this article on your website, or in/on other types of print or digital publication, email LightKeepersLLC@gmail.com.